Attending live concerts is more than just entertainment, it’s a “LIVESTYLE,” and StubHub is every music fan’s destination to live that LIVESTYLE this festival season. Kicking the season off in style, StubHub will host its fifth annual showcase at SXSW next month. 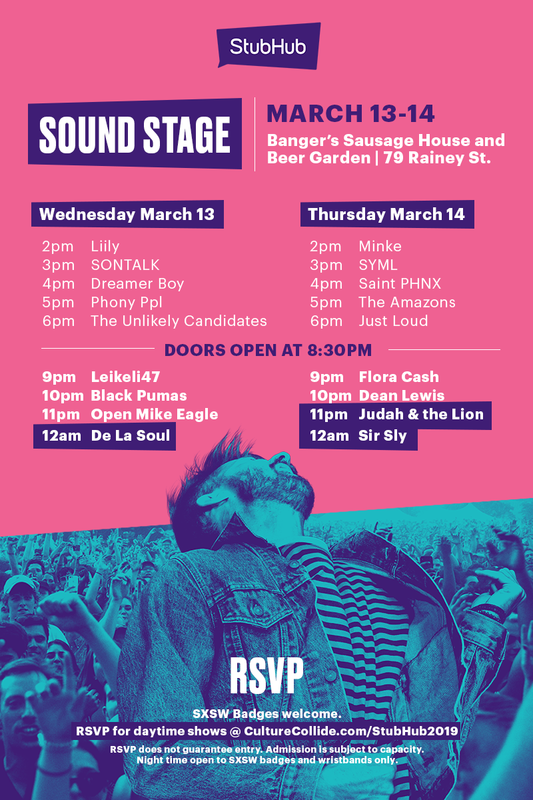 Over 18 acts will hit StubHub’s Sound Stage over two days — March 13th and 14th — at Austin’s quintessential Banger’s Sausage House & Beer Garden (79 & 81 Rainey Street). 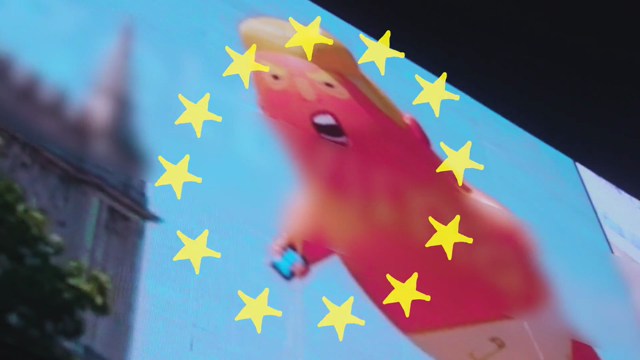 Notable acts include De La Soul, Open Mike Eagle, Judah & The Lion, Sir Sly, Dean Lewis, SONTALK, Just Loud, and The Unlikely Candidates. Performances begin each day at 2 p.m. and go into the night, with Banger’s serving up their legendary house-made sausages, craft beer, pickled veggies and other Texas staples. To attend the daytime performances, SXSW attendees should RSVP at culturecollide.com/stubhub2019. Evening performances are exclusively open to SXSW badge and wristband holders on a first-come, first-served basis. Starting at SXSW, StubHub will work with artists performing on the Sound Stage to provide fans with everything they need to live the LIVESTYLE throughout festival season, including artist-curated playlists for festival road trips, expert packing tips from industry insiders, recommendations for the best new acts and more, all festival season long at www.stubhub.com/festival. If you can’t be there in person, you can still catch many of these artists Judah & the Lion, Flora Cash, and Dean Lewis on tour and at festivals this summer, such as at Hangout, Forecastle, BottleRock, and Firefly. Also visit StubHub’s website to discover other upcoming festivals or new artists coming to your town.